This summer our Patient Safety team hosted a team of four visitors from Korle Bu teaching hospital in Accra, Ghana, a distance for 4,705 miles from us. The aim of the visit was for the team to learn about quality improvement and patient safety in the UK. The Ghanan team included Quality Improvement Manager Otchi, Elom Hillary, Consultant Family Physician, Dr. David Nortey, Clinical Pharmacist Jennifer Gertrude Laryea and Nurse Aimee Kotey. We prepared a full-packed agenda for the team, which included a tour of University Hospitals Bristol’s Emergency Department, followed by afternoon sessions on Quality Improvement methodology, and an introduction to the Patient Safety National Early Warning Score (NEWS) work programme. 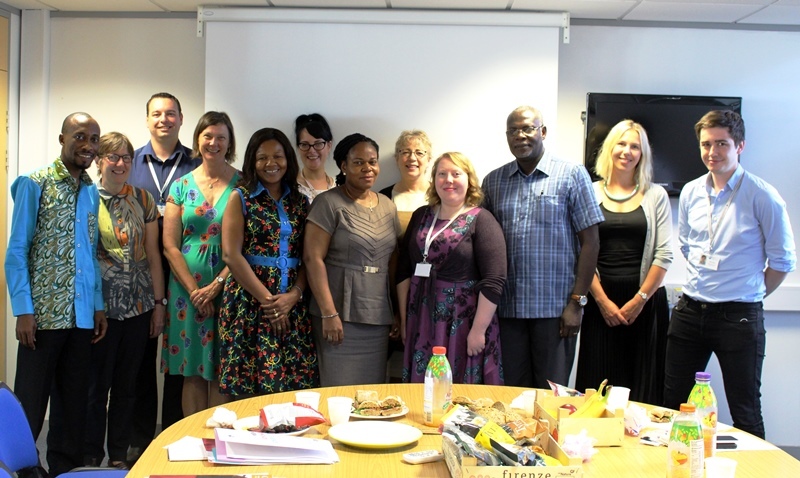 Kevin Hunter, Patient Safety Programme Manager, said: “It was a real pleasure to meet like-minded individuals striving to work collaboratively on improving the quality and safety of the care their patients receive. “It was inspirational to hear how these individuals were keen to learn from the approach of others and they firmly believed ‘that every accomplishment starts with a decision to try’.